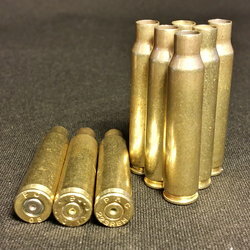 .38 Special Brass | DiamondKBrass.com | 500 ct.
Diamond K Brass provides high quality once fired brass and all the other tools and supplies you need for reloading your own ammunition. 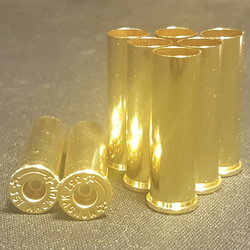 So whether you use reloadable .38 Special brass for recreational or commercial purposes, Diamond K Brass gets your brass to you quickly and at prices that make it easy to buy in bulk. 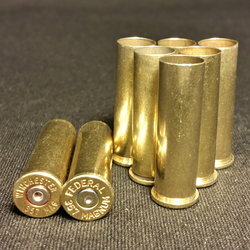 We use .38 Special casings that come from indoor shooting ranges and military sources to you free of range debris and nitrate residue. 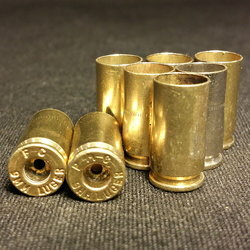 This once fired .38 Special brass has mixed head-stamps and may contain a mix of brass and nickel finishes. 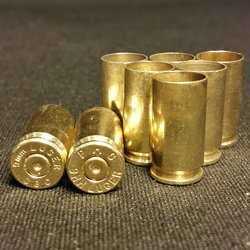 Diamond K Brass consistently gets good marks from our customers on our rapid turnaround and shipping times. 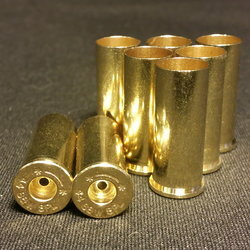 And to make sure you're pleased with our reloading products, we ship 2% more than the amount of brass ordered. 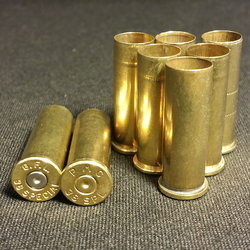 So place your order for .38 Special reloading brass today, and don't forget to order any other calibers you need while you're at it! 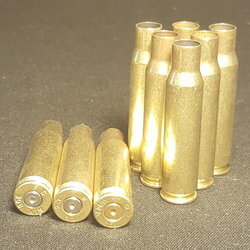 Diamond K Brass can also accommodate bulk orders for commercial reloaders -- just call us directly at 1-855-357-3030.